For ten minutes this afternoon (around 1:10pm on March 30th, 2014) electricity created from non-large hydro renewable sources (solar, wind, geothermal, biomass, biogas, small hydro) equaled 8202 Megawatts, or 37.7% of California's total utility electricity demand. This, I believe, is a record. And it's only March! 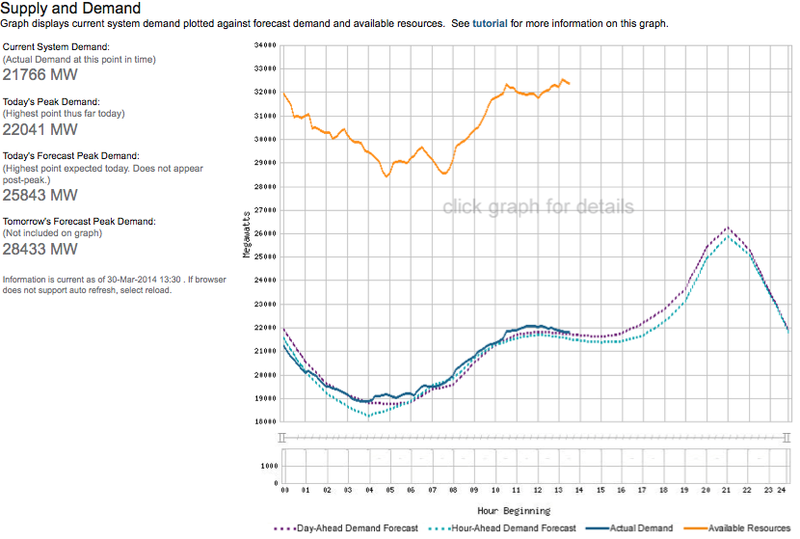 By June we may see sunny, windy days that reach 50% of demand. Both California and Hawaii significantly dropped their per capita electricity consumption from 2012 to 2013, California by 2% and Hawaii by nearly 2 1/2%, due to a combination of efficiency measures and increased rooftop solar.Very little wind power was added in California last year, but a heck of a lot of utility scale solar went on line in the 4th quarter of 2013, and we're seeing the results now. If you're interested in tracking California's renewable electricity production, follow this link. 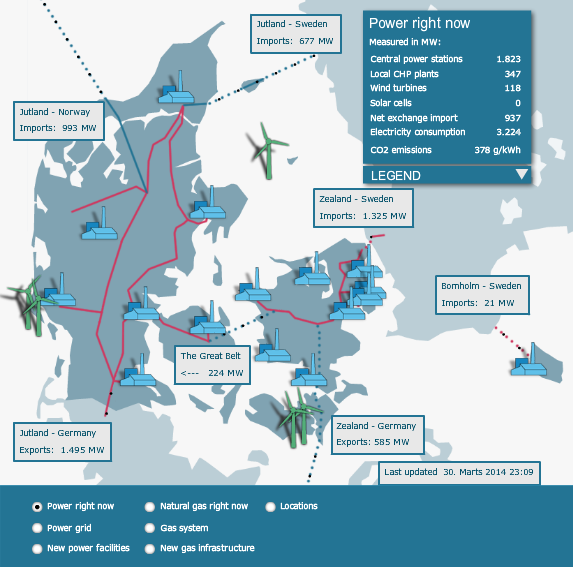 Another fun link is Denmark's real-time electricity production graphic, complete with little turning windmills. You can see how they import and export electricity from Norway, Sweden and Germany to balance out their own production when the wind isn't blowing or when it's blowing a lot.